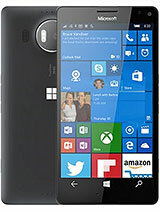 maaef, 11 Mar 2013I m new to Windows 8 have always been an android user....just swithed fron Note to L920 Co... more1. How can I switch on/off GPS? GPS is of course only used when app requests it. 2. when I m connected to WiFi how to know whether data is being transferred through Wifi or 3G as I don't see ant indicator for data transfer. If you are connected to WiFi it will of course use WiFi and when not, 3G. Indicators at the top are pretty clear. 3. How can I fast forward/Re-wind a song in Nokia music? 4. I've transferred a .MP4 file through Bluetooth now I don't see it in videos. How can I find that file? Depends on the codec really, MP4 files are supported. 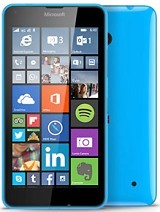 check MS windowsphone site for full list of native supported files. Also VLC should be coming to WP8 pretty soon which should cover pretty much all more uncommon codecs. They had a Kickstarter a while back that went well over the required limit. 5. is the system volume and ringtone volume is same? is there any way I can keep volume low while watching videos still ringtone volume remains high? Sorry but the volumes are currently the same. Microsoft has promised a fix and I believe its pretty high on the priority list. 6. Most important feature is app-lock like we can lock individual apps with pattern lock....how can I do that? No app pattern lock unless the app it self supports it. Word of advice though, don't rely on separate app locks like on android, those don't offer any real security. They don't really crypt the apps themselves and when someone has access to your phone, going around separate app locks is usually pretty easy. You can google for tricks of getting around android applock, there are plenty. Locking the whole phone down on OS level is of course separate matter and harder to go around. Similarly apps that actually are designed to crypt their files are pretty safe, depending on the actual implementation. [deleted post]Ooooh. You just learned me something new. is there any option to take screen shots in this phone. if it is possible then how to take it? 1. How can I switch on/off GPS? 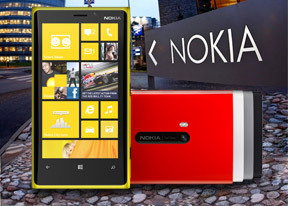 How to unlock Nokia Lumia 920 from AT&T carrier in US? Anonymous, 11 Mar 2013why nokia chose a system that is so locked like iphone.why would anyone chose that before andr... moreIf you have a phone that works good, you don't have to root and mess around. Anonymous, 11 Mar 2013Why does the lack of SD card slot matter? How many iPhone's have SD card slots? None! Everyone... morewhy nokia chose a system that is so locked like iphone.why would anyone chose that before android where you can install 3rd party apps and root youre phone and have It like YOU chose? AnonD-114684, 10 Mar 2013Today I got my Black 920.....One word can explain it...it is AWESOME............... By th... moreDear friend, mine is mea region 1232.5951.1249.1001. How do you interpret the latest ver, my lags and batt fr a day hardly. What are news of update in a month with file manager and bla bla. I am repenting fr thisexp device, I think all vendors have na time to test and just through in market with hefty price tag, let them wait mmercilessly fr updates. Why cant we consumers when buy not even allowed to unbox, what dver come out is your rechet baby. Hope to post positive reply. Tech, 02 Sep 2012OK ! 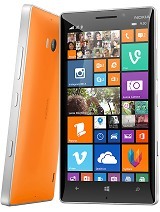 Many peoples talk big things about lumia's PV camera. But what about... moreWhy does the lack of SD card slot matter? How many iPhone's have SD card slots? None! Everyone talks of them like they are the best thing on the planet... I admit I prefer an SD card slot, it's rather useful, but there's no need to complain about this when Apple is yet to release a phone with one. Battery is becoming One main issue for Nokia phone this days. Weak backup for continues net browsing, cannot use spare battery when on long journey.